The CableFree range of LTE CPE devices includes indoor and outdoor devices to allow operators to construct LTE networks to meet a wide range of user and application requirements. Outdoor CPEs are ideal to connect fixed locations, residential and business customers with “xDSL” replacement for rural broadband and also resilience for existing copper and fibre leased lines. CPE devices are available with CAT3 up to CAT12 performance and advanced features. CableFree 4G LTE Outdoor CPE devices are weather-proof All-Outdoor Units with high gain directional antennas designed to connect over long distances to LTE base stations. A choice of antenna sizes are offered for standard and high gain. The CPEs include integrated IP bridge/router and Power-over-Ethernet technology, to provide long range coverage and connectivity to the LTE base stations. The CPEs include Layer 3 routing features and advanced management features to ensure that large networks can be easily managed and provisioned. CableFree Enterprise 4G LTE CPE devices are ideal for business applications with integrated WiFi Access point/Hotspot Controller and Carrier Class Router, Typically mounted in an indoor location or location with favourable LTE signal coverage for best performance. Indoor and Outdoor Versions are available for optimal network performance. CableFree 4G LTE Indoor CPE devices are ideal for residential and business applications with integrated WiFi Access point, Router, optional VOIP/POTS ports. Typically mounted in an indoor location, ideally in a window or location with favourable LTE signal coverage for best performance. 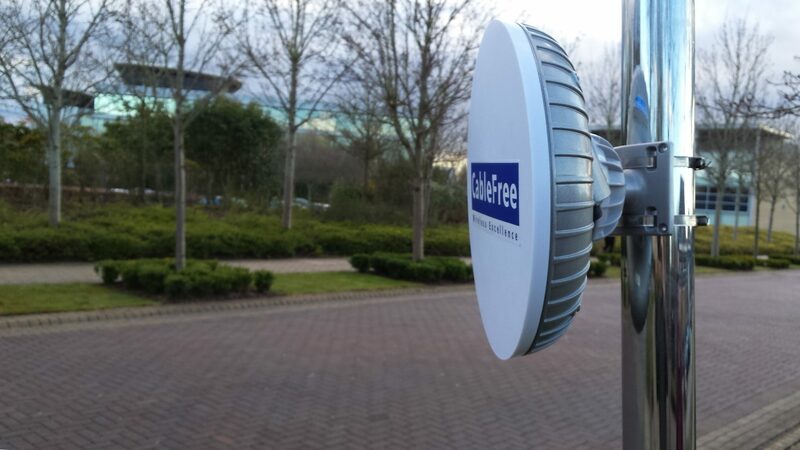 CableFree offers a range of Ruggedised 4G LTE CPEs optimised for Industrial Applications. These industrial grade CPEs are ideal for Automation, Machine Vision, Robotics, Mobility, Remote Vision, Self Driving Vehicles, and other industrial applications where mobility and high speed connectivity is required.Featuring DIN rail mounting for industrial applications, with ruggedised waterproof connectors for Gigabit Ethernet and DC Power input, the new CableFree CPE devices feature latest-generation wireless and network capabilities including LTE Advanced Cat 6 and above, with 4×4 MIMO for high capacity and best wireless coverage. CableFree Mobile WiFi Hotspots with 4G LTE (MiFi) including remote Cloud Management are feature-rich and can be deployed outdoors or indoors. Customisable versions for in-vehicle use for Mass Transit, Police, Law Enforcement applications. CableFree Mobile USB 4G LTE Dongles and WiFi-enabled Wingle devices are ideal for mobile users and laptops which do not already include onboard LTE functions. Customisable versions can include operator branding and other features.